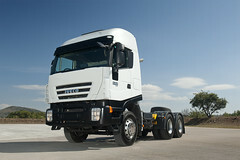 Iveco markets a range of remanufactured engines and gearboxes. The regeneration process is applied to Iveco gearboxes, alternators, starters, turbochargers, variable geometry turbochargers, injectors, injection pumps, water pumps, feed pumps. ​Very Important Parts: excellence in the service of your business.